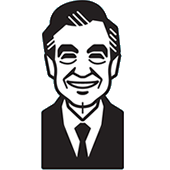 Mister Rogers has stopped by Negri's Music Shop and arrives with a small electric organ he has borrowed. He compares its sound to that of his piano before sharing a film about two young friends of his who help each other -- one is blind and the other cannot walk. At Negri's Music Shop, Mister Rogers returns the organ and goes to the rehearsal room where Joe Negri shows a large organ. William McCurdy arrives and demonstrates the organ. In the Neighborhood of Make-Believe, Lady Abelrin asks Edgar Cooke about the tooth fairy but and he responds: "I don't ever sing about secrets and the tooth fairy is a secret." He does, however, share the news that Al Worden will be visiting Make-Believe. Henrietta Pussycat practices what she will say to Mr. Worden to tell him how much she likes him. At the Museum-Go-Round, Lady Elaine suggests that Al Worden may be on a "secret" mission. Corney asks Lady Elaine about the power used by her television station. He is concerned after a decrease in power at his factory. Al Worden arrives and suggests that his "secret" will not arrive until tomorrow. Back at the house, Mister Rogers sings Many Ways To Say I Love You before he shows a flashlight and talks about things run on batteries.